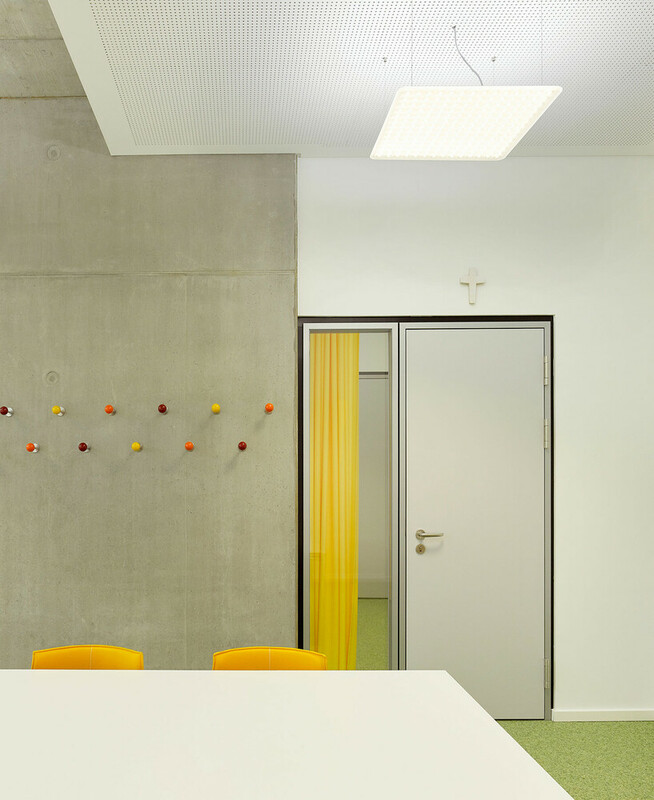 In Gersthofen, district Augsburg Bavaria, a new secondary school building complete with a three-court gymnasium was planned to replace an original school built in 1971. 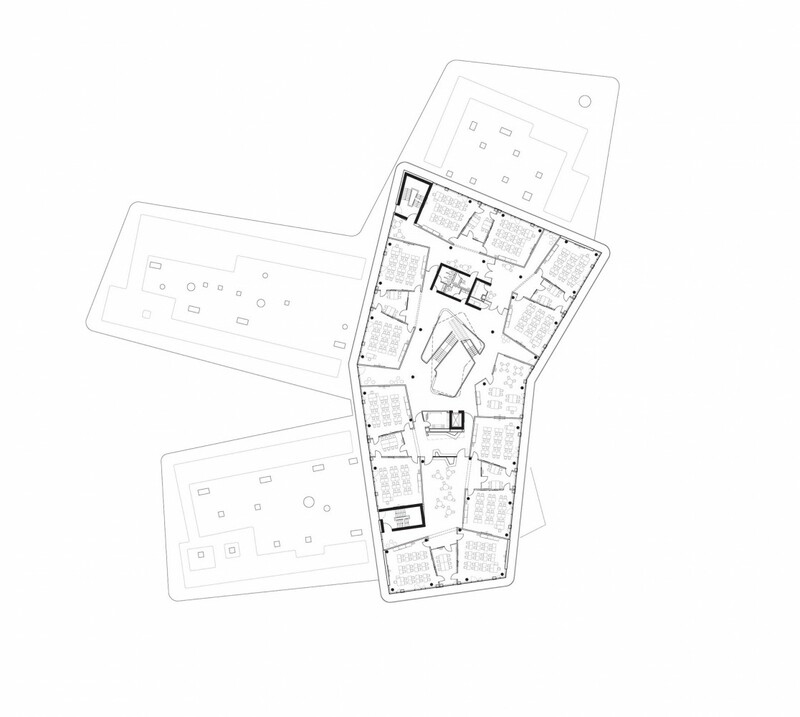 The design scheme defines its own identity in one sense, and simultaneously integrates itself harmonically into the emerging school campus as well. A schoolyard is located in the center of the campus for joint use with the adjacent grammar school. The design of the new building has expanded the schoolyard and increased its prominence on the site. The main aspects of the concept are molded around teaching concepts, educational methods and the potential educational developments anticipated over the next few years. 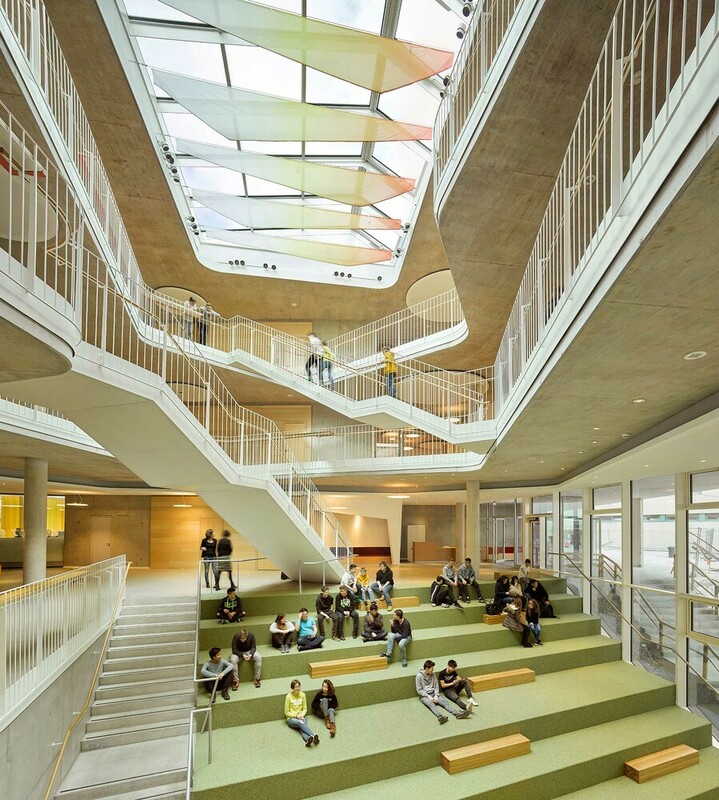 Flexibility was another key component in determining the architectural design, and as such the building has been designed to accommodate new ways of teaching, and the identification of pupils and teachers. 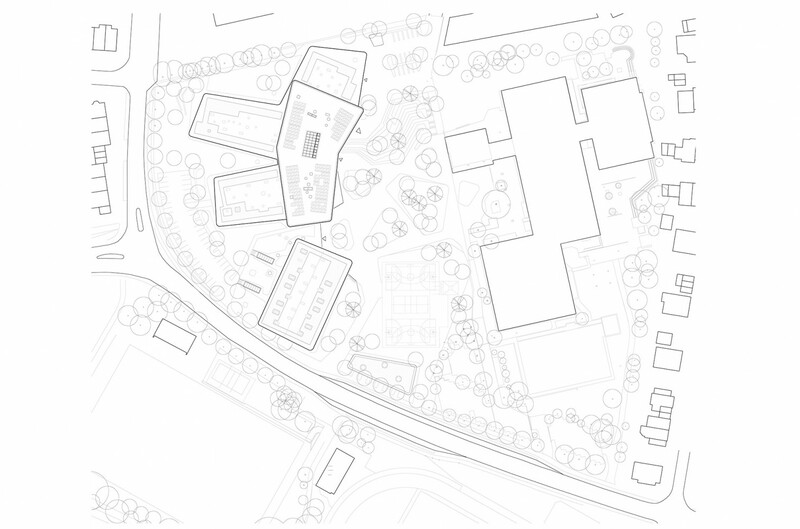 The merging of school and landscape, as well as the consideration of the natural topography and the slope enhance the connection of the secondary school to its immediate vicinity. The two-story auditorium forms the heart of the new school building. It is surrounded by the after school area, music room and library, as well as rooms for teachers and administration. The manipulation of the natural topography and slope creates fascinating interior spaces. The three-court gymnasium facility and the corresponding outdoor areas are allocated to the existing athletic grounds. They border the campus towards the south, which is the main sector for all sports activities. 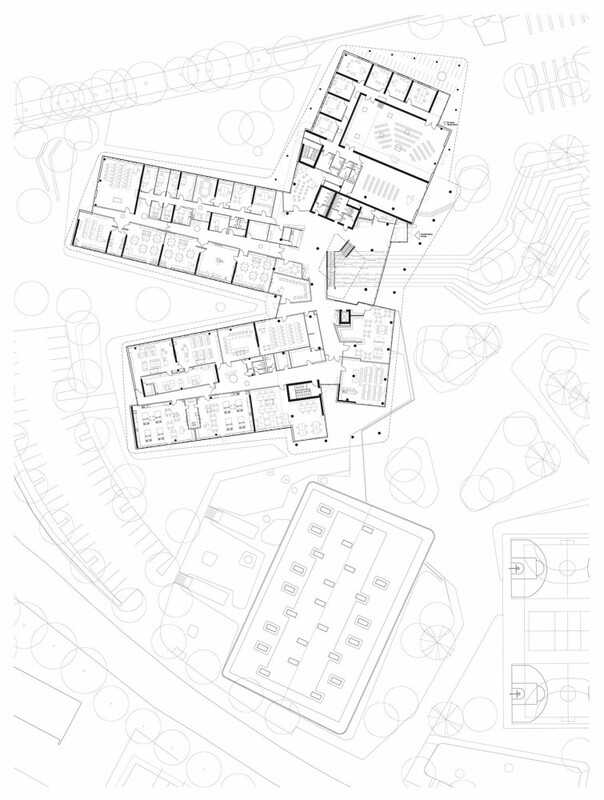 Partially “buried”, the sports hall hides its volume within the mass of the landscape and appears to be another wing of the main school building. 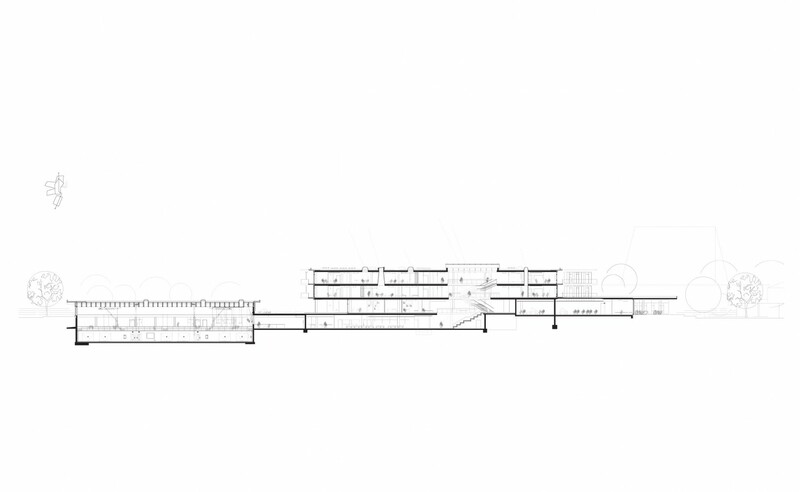 The construction was developed in two stages to allow for uninterrupted, continuous schooling throughout all phases. In 2016, the sports hall was relocated to clear the area and to gain space for the new school building. This design proposal shows that particular attention has been paid to the aspects of sustainability and resource-efficient construction. Here a holistic approach has been employed rather than merely focusing on energy and HVAC measures. 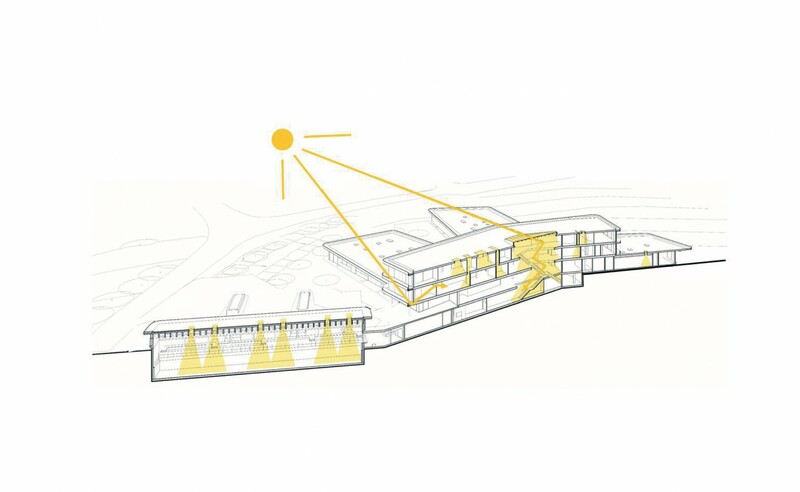 Here, the use of daylight has been maximized, as well as connections between exterior and interior, and key to the sustainable scheme is the opportunity for individual customization of the indoor environment through passive means. With the decision to move forward with this new construction, the city of Gersthofen has made a major step towards its future and the advancement of education. 13.396 qm / 144,195 sq.ft. 61.839 cbm / 2,183,844 cu.ft.